Few days before I have shared a floral party nailart on my youtube channel as well as blog and so many of you have asked me to do a detailed review on the stamping plates, so here I am. 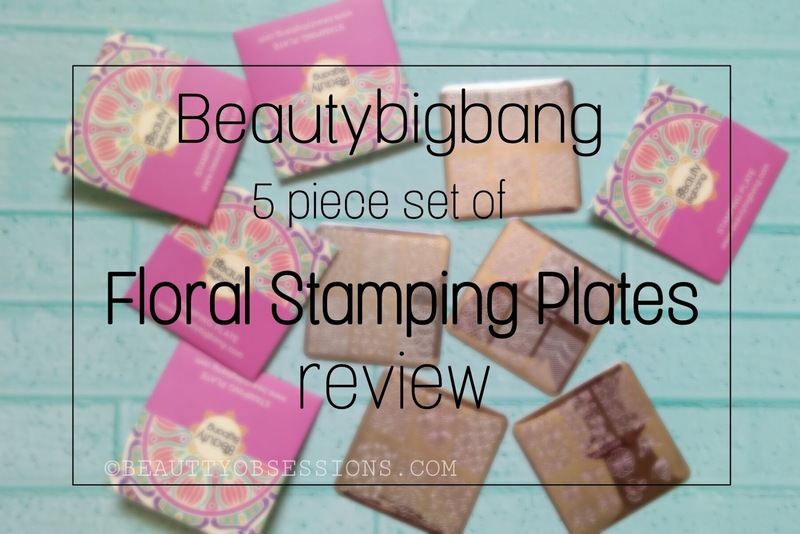 Today I am going to share my opinion on Beautybigbang's 5 piece set of floral stamping plates and along with that will share few nailarts using this stamping plates . Are you excited ? Let's get into the review but before that few words about the site beautybigbang . Beautybigbang is an international website which retails makeup and nail care products at the best prices ever. I like their nailcare collection more. The price is so in budget and the quality of products are also awesome . 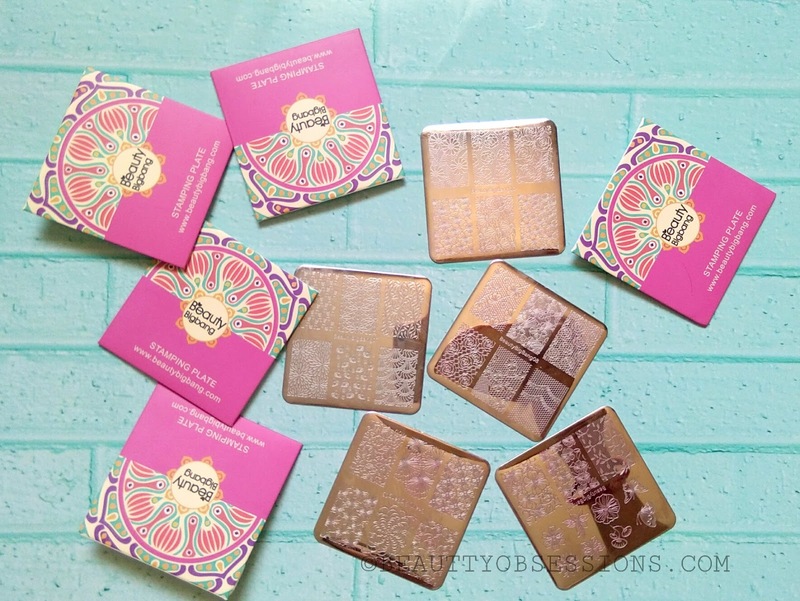 I have used both the makeup and nail products from the site and fully satisfied with the quality they are giving. They do ship worldwide and shipping is free. You can pay using PayPal, debit card, credit card, etc. The shipping process takes place 2-4 weeks because it's an international shipping. You can use my coupon code SNIG10 to avail extra 10% off across the site. The first word came from my mind after getting these is WOW. I love the outer cardboard packaging so much. It looks so colourful and ethnic, isn't it ? 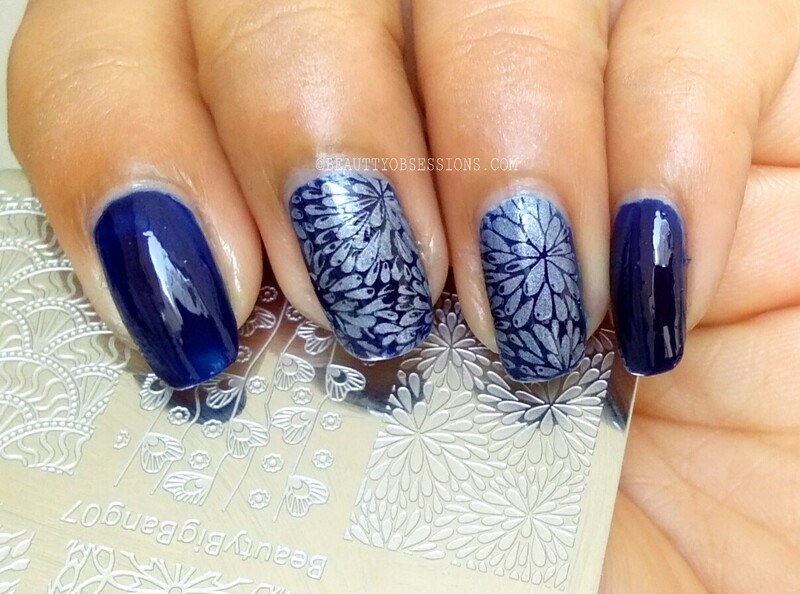 Then there are 5 pieces of stamping plates which has beautiful floral patterns over it. Each plate has 6 patterns and one plate has 11 patterns and in total you are going to getting 35 patterns .. Isn't it a great deal to grab. There are also single plates options on website. The plates are metal and a bit heavy on hand which is really good . 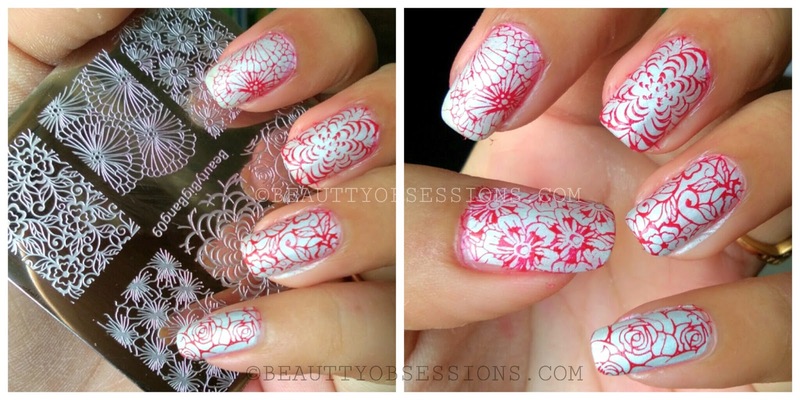 The material is amazing and the patterns stamped on my nails really well. I will share below five nailarts using these plates..
You know first word when I saw the pic I said Wow and then read your's was the same expression ...just loved it !! Loved these floral stamps. Nail art seems much simpler with these for amateurs like me. These are wonderful art stamping patterns. Love the way you make it look so easy and finish is just too good. Wow this looks like a great place for beautiful stamping plates. these look really cool! 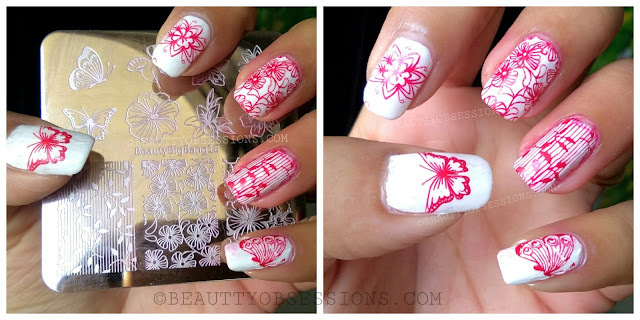 these stamping plates make the nailart so easy.